The slow cooker allows the hostess to cook delicious and healthy meals with minimal time and energy costs. 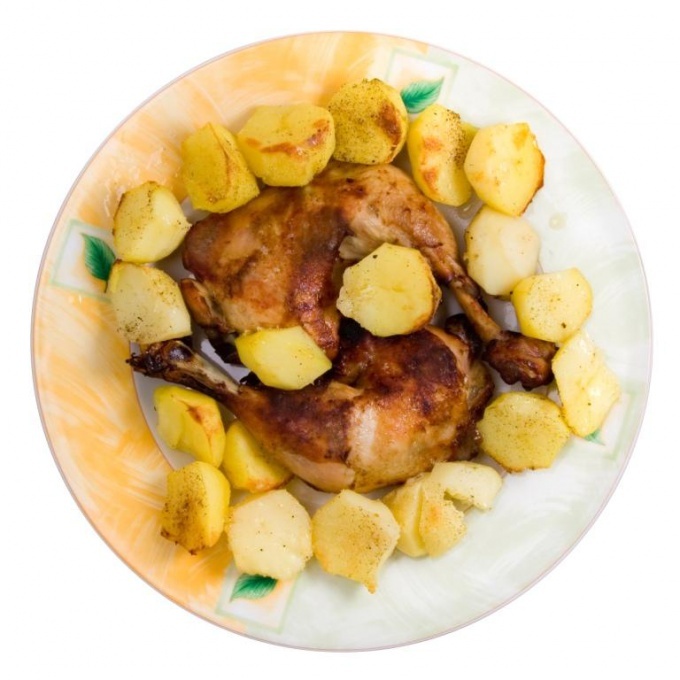 One such simple and healthy dishes is potato baked with chicken. Legs salt and pepper, leave them for a few minutes for impregnation. Remove the skin of potatoes, cut the tubers in half or quarters. Lightly salt the potato slices. Slice onions rings. In the bowl multivarki pour a little oil, put into it the chicken, potatoes, and onions. Turn on the "Baking" for 40 minutes. After 20 minutes, open the lid and carefully turn chicken legs. It is necessary to obtain a Golden crust across the surface of the chicken. The finished dish remove from the slow cooker and sprinkle with finely chopped parsley, dill or cilantro.